Humans are complex beings, and human behavior doubly so. Every human act is a result of a myriad of factors, from brain chemistry to social conditioning, that have developed over millennia. 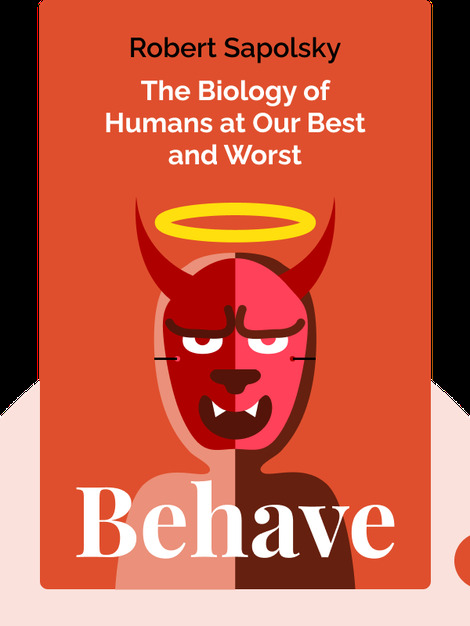 In Behave (2017), renowned professor Robert Sapolsky takes a journey into the depths of the human condition, demonstrating the reasons behind the best – and worst – of human behavior. Robert Sapolsky is the John A. and Cynthia Fry Gunn Professor of Neurology and Neurosurgery at Stanford University. He has also written other highly acclaimed and popular science books including The Trouble with Testosterone and A Primate’s Memoir.